Brigitte has an innate quality of caring for animals beyond the borders of her busy schedule. Her work with various Southern California rescue shelters in rehabilitation training and adoption assistance is a testament to this characteristic. She is also one of the first people to assist Service Dogs for Victims of Assault (SDVA) by volunteering her time to train the dogs and create a model for other trainers. Brigitte Shaw was born in Stuttgart, Germany. At the age of seven she moved to Berlin. Her formative years and her passion for dogs came about there in Berlin. As a very young child she developed an extraordinary bond with dogs, closely observing and studying them every free minute away from her chores. By the time she was 12 years of age she had read hundreds of text books and acquired her very first dog, a sweet English Cocker Spaniel that she trained and eventually showed as its handler. Brigitte attended seminars given by the top trainers and handlers in Germany the likes of the renowned: Biehler, Helmut Raiser and Ottmar Vogel and many more, learning and retaining all she could about breeding, genetics, training, behavior modification and anatomy, even studying the wolf, the ancient source of dog behavior. From this experience, subtle instincts were revealed to her by closely observing the pack and the pack leader. She implements reconditioning, instinctual behavior and avoidance behavior in her training to this day from her keen observations of the wolf. Around the age of eighteen, her interests grew and her desire for challenge became apparent. 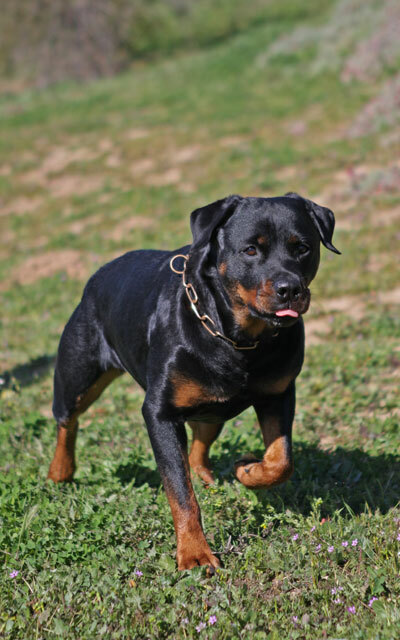 She decided to move into the big dog category, this is where she fell in love with the Rottweiler and began training in Schutzhund: This involves tracking, obedience, agility and protection. 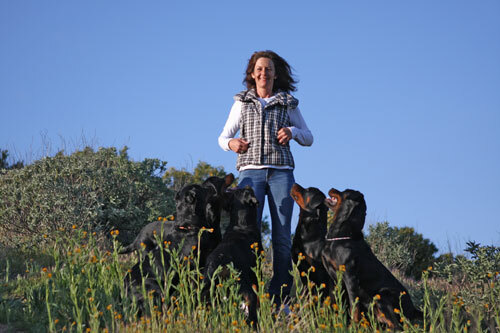 Brigitte began breeding Rottweilers and became the youngest Breed Warden in her region. 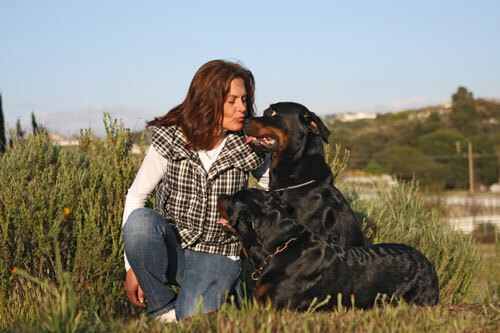 Her accomplishments were soon recognized and Brigitte was elected Regional Breed warden for the ADRK (Allgemeiner Deutscher Rottweiler – Klub, since 1907 / General German Rottweiler – Club) in 1986 the youngest ever to do so. 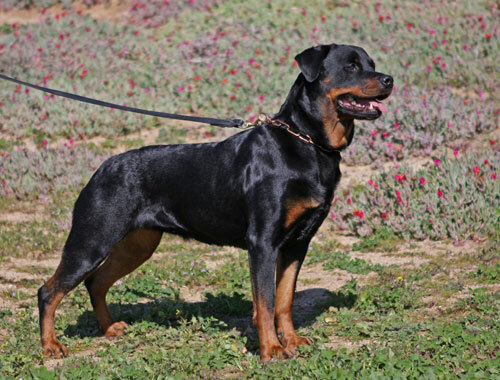 She handled and competed with her own bred Rottweilers in Schutzhund and Confirmation on International and National level in Germany. Later she moved to the United States where her winning and training has brought her applauds in her field. Her 25 year long career as dog trainer is a tribute to persistence, intelligence, observations, instincts and love of animals. For the last 15 years she has expanded her training to include a variety of dogs from the diminutive Chihuahua to the massive Great Dane. No challenge is too small or too large for Brigitte. © 2015 Brigitte Shaw CBS Pack Leader von der Wolfsschanze Kennels. All rights reserved.